A sonic “experience”: Florent Schmitt’s Psalm 47 (1904). The Psaume XLVII of Florent Schmitt is recognized as one of the most important choral works of the early 20th century. And while it isn’t performed with great regularity, it has benefited from quality interpretations as revealed by some of the world’s leading conductors, ensembles and soloists. Particular pride of place goes to a group of distinguished sopranos who have lent their considerable artistic talent and appeal to the very important solo part in the middle portion of the Psalm focusing on the Song of Songs. 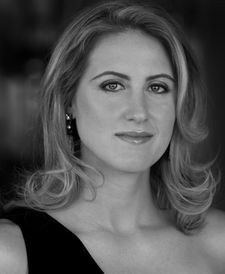 The rich and ecstatic nature of the score yearns for a soprano voice that can do the music justice — and over the years a number of artists have risen to the occasion in a particularly effective manner. 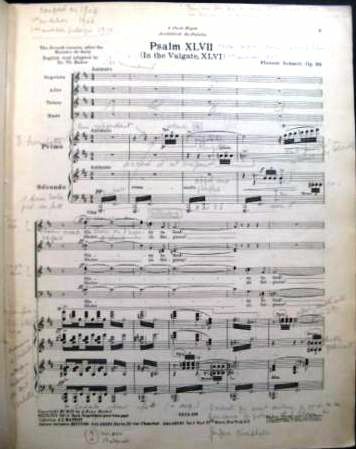 The first page from a vintage copy of the piano-reduction version of Florent Schmitt’s Psaume XLVII;, with copious notes written in by an unknown music director. 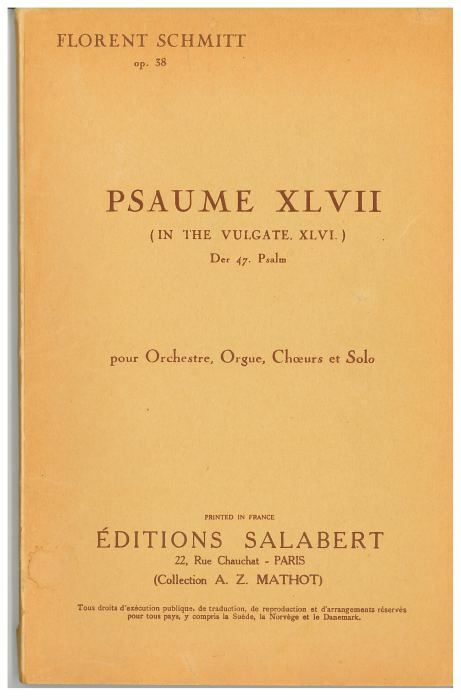 A near-comprehensive listing of public performances of the Psaume since 1945 can be found here, and details on the studio and live recordings of the music can be viewed here and here. Among these many performances, the following ones are particularly noteworthy in part because of the participation of some of the vocal greats of the past half-century. 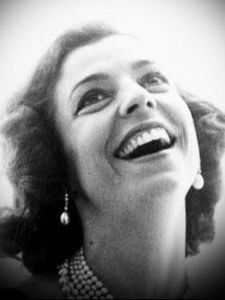 Denise Duval — Known as the muse to Francis Poulenc, the French soprano Denise Duval performed Psaume XLVII with André Cluytens and the Paris Conservatoire Orchestra in October 1951, and then was chosen to make the first commercial recording of the work in 1952, in the presence of the composer. Miss Duval was joined by a star-studded roster of performers that included the Chorale Elisabeth Brasseur, the organist-composer Maurice Duruflé and the Paris Conservatoire Orchestra, all under the direction of Georges Tzipine. This recording remains available today — more than a half-century after its debut — and Miss Duval herself was still with us until 2016, a living legend well into her mid-nineties. 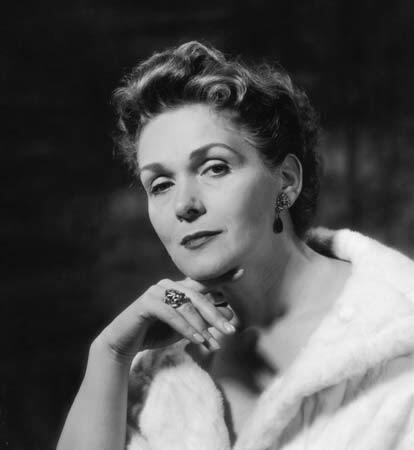 Régine Crespin — The famous French soprano Régine Crespin joined with the ORTF Orchestra and Chorus in a memorial concert held in October 1958, two months following the death of Florent Schmitt. The all-Schmitt programme featuring five works was conducted by Désiré-Emilie Inghelbrecht, who had directed the premiere performance of the Psalm more than a half-century before (1906) and who would continue to champion this music for his entire conducting career. The full 90-minute Schmitt memorial concert, with the Psalm as the final item, is available for audition (and also as a high-res download) from the INA archives of the French National Radio and Television network. Andréa Guiot — In 1973, the marvelous French soprano Andréa Guiot collaborated with conductor Jean Martinon and the ORTF Orchestra and Chorus to perform and record Psaume 47. For more than a few music-lovers, this 40+ year old EMI recording, which also features the legendary organist Gaston Litaize, continues to be the top favorite of all commercial recordings of the Psalm. Listeners can also hear the exciting public performance — minus the powerful organ of the Salle-Gaveau — courtesy of the INA archives. Sylvia McNair — Those who know and love the artistry of Robert Shaw may wonder if the great choral conductor was ever inspired to program Psalm 47. 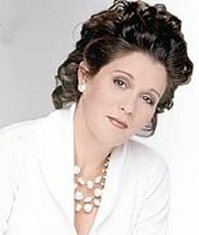 And the answer is ‘yes’: In February 1982, American soprano Sylvia McNair joined forces with Maestro Shaw and the Atlanta Symphony Orchestra and Chorus to present the Psalm. While no recorded document of this performance appears to be available, reports I’ve heard from concert-goers fortunate enough to have attended the performances have been very positive. Judith Blegen — In May 1986, Robert Shaw programmed Psalm XLVII with the Atlanta Symphony Orchestra and Chorus for the second time inside of five years. 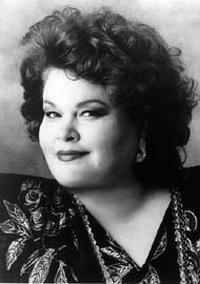 The soloist in the 1986 performances was the famed American soprano Judith Blegen. Taking this sonic showstopper on the road, Miss Blegen also sang the part during the Atlanta Symphony Orchestra’s tour of Paris and other French and European cities that same year. 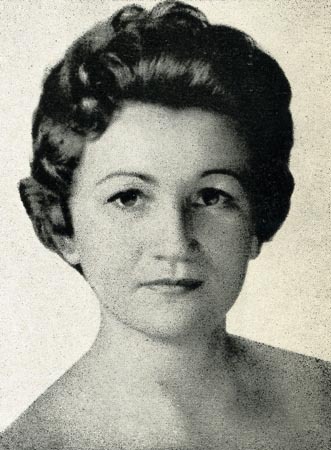 Sharon Sweet — The American soprano Sharon Sweet is featured on a 1990 Erato recording that also includes the Orchestre National de France and ORTF Chorus led by conductor Marek Janowski. 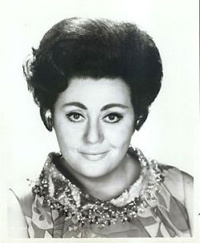 Miss Sweet’s solo is a darker, more voluptuous interpretation than many of the other sopranos who have performed the Psaume. Nevertheless, it is a valid, interesting and ultimately quite winsome approach to the music. 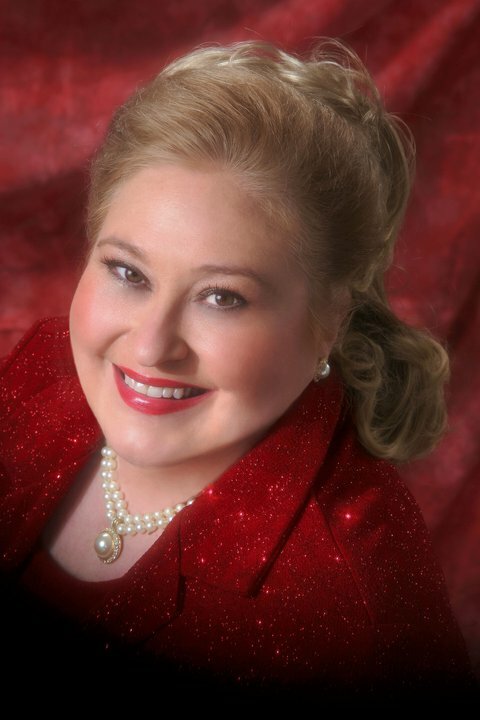 Audrey Stottler — In May 2001, the American soprano Audrey Stottler, renowned for her starring roles at the MET Opera and in Europe, was the featured soloist at a spectacular performance of Psaume XLVII presented at the National Cathedral in Washington, DC. Miss Stottler was joined by J. Reilly Lewis directing members of the National Symphony Orchestra along with the Cathedral Choral Society and the powerful sounds of the cathedral’s massive pipe organ, in a concert that also included the Saint-Saëns Organ Symphony and Poulenc’s Gloria. This unforgettably thrilling account was one that I was able to experience in person as well. Not only that, years later I was able to meet Miss Stottler and interview her about her experience in presenting the Psalm. Susan Bullock — The most recent commercial recording of Psalm XLVII, made in 2010, is a truly transnational affair, featuring the British soprano Susan Bullock along with French conductor Yan-Pascal Tortelier conducting the Brazilian OSESP (São Paulo) Orchestra and Chorus. A fine Chandos production, it happens to be my personal favorite among all of the commercial recordings of this music. A good measure of the reason is due to Miss Bullock’s well-nigh perfect conception of the soprano solo part. This recording has been uploaded to YouTube and can be heard here. 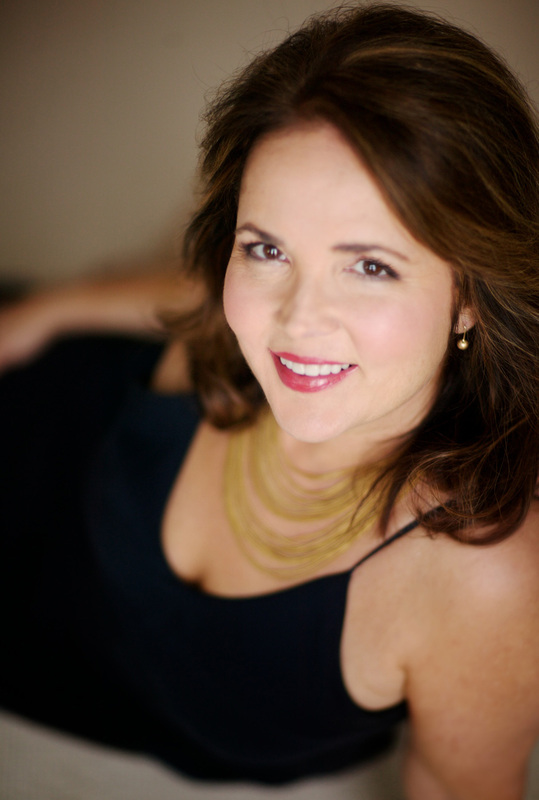 Jacquelyn Wagner — A more recent concert performance of Psaume 47 took place in Berlin in April 2015, featuring the American soprano Jacquelyn Wagner and the Berlin Radio Symphony Orchestra and Chorus conducted by Marek Janowski (who also directed the proceedings in the 1990 Erato recording noted above). Eric Butruille, one of the faithful readers of the Florent Schmitt Website + Blog, traveled from France to Germany to attend this concert and shared these observations about Miss Wagner’s interpretation: “Jacquelyn Wagner’s warm and mysterious tone was perfect in the soprano solo. Never before — live or in recordings — have I heard such fine balances between the chorus and the soloist in this music. The sound was almost dreamlike: surreal, like an angel floating on waves of divine sounds.” This memorable performance was broadcast over German radio, and can be heard here. Ewa Biegas — Among the most recent concert performances of Psaume XLVII were ones presented in Krakow, Poland in February 2016. Featuring conductor Jean-Luc Tingaud leading the Krakow Philharmonic Orchestra and Chorus, these concerts represented the Polish premiere performances of this music. 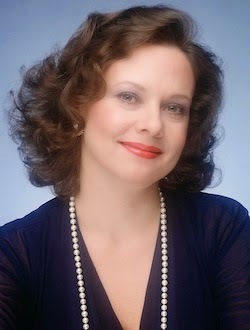 The soprano soloist was Ewa Biegas, star of the National Opera in Warsaw and other Central European operatic stages. I had the great pleasure of attending the Krakow concerts and found Miss Biegas to be the ideal interpreter of the soprano solo part. Her exceptional performance captured the sweep of the melodic line and the varied moods beautifully while handling the wide vocal range with effortless ease. My post-concert interview with her was also quite enlightening. I hope to have more opportunities to experience the Psalm in concert in the future, but I doubt I’ll ever encounter a soprano soloist who supersedes Miss Biegas’ inspired interpretation. I consider myself very lucky to have had the chance to attend three live performances of Psaume XLVII. Indeed, it is a score that all lovers of French repertoire — or choral music in general — should have the opportunity to experience first-hand at least one time. 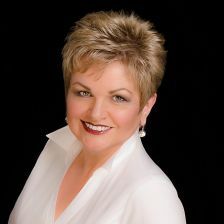 But while we could always hope for more frequent performances of Psalm 47, we can be pleased that the music has been blessed with many fine interpretations by equally fine artists — particularly the attentions of some very talented and celebrated soprano soloists in the concert hall and on recordings. It is a testament to their distinguished artistry that many of these performances remain available today, years (or even decades) after their initial presentation. This entry was posted in Choral Music, Classical Music, Composers, French Composers and tagged Andrea Guiot, Audrey Stottler, Denise Duval, Elisabeth Schwarzkopf, Ewa Biegas, Florent Schmitt, Igor Markevitch, Inghelbrecht, J. Reilly Lewis, Jacquelyn Wagner, Jean-Luc Tingaud, Judith Blegen, Korliss Uecker, Psalm 47, Psalm XLVII, Psaume 47, Psaume XLVII, Regine Crespin, Robert Shaw, Schmitt, Sharon Sweet, Susan Bullock, Sylvia McNair. Bookmark the permalink. « Choral chromaticism par excellence: Florent Schmitt’s Cinq chœurs en vingt minutes for mixed chorus and large orchestra (1951).